Follow our step-by-step guide to a new BenQ 5J.06001.001 lamp for your BenQ MP612 / MP612c projector. The Internet has been flooded with companies selling projector lamps. Many advertised their lamps as “generic and compatible” — a euphemism for a knock-off, copycat technology that produces an inferior and dangerous product. Don’t believe the cheap prices you see as there are hidden costs to installing generic lamps. 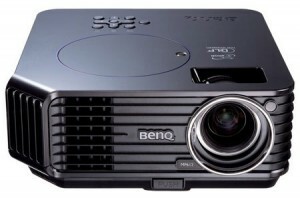 Be sure the purchase an authentic BenQ 5J.06001.001 projector lamp for your BenQ MP612/MP612c projector. Save yourself unnecessary headaches and buy authentic from a recognized dealer. You’ll be getting a far superior product with a replacement guarantee and tech support. When the BenQ MP612/MP612c projector is in operation, the number of hours of lamp life is automatically calculated by the built-in timer. The formula used is Total (equivalent) lamp hour = hours used in Economic mode + hours used in normal mode. When your projector is in Econo Mode the formula is calculated as 2/3 of that in normal mode. Using the projector in Economic mode helps to extend the lamp hour by 1/3. When the BenQ 5J.06001.001 lamp is approaching end of life the BenQ MP612/MP612c projector Lamp Indicator will start flashing red. Warning messages will also appear on your screen. 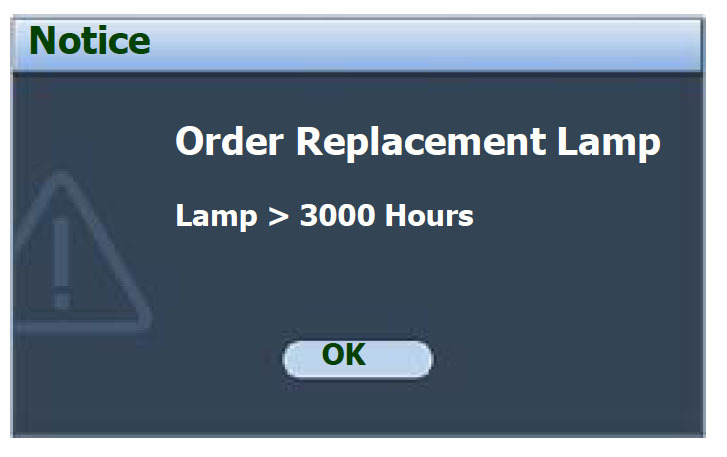 First warning: The BenQ 5J.06001.001 lamp has been in operation for 3000 hours. Install a new lamp for optimal performance. 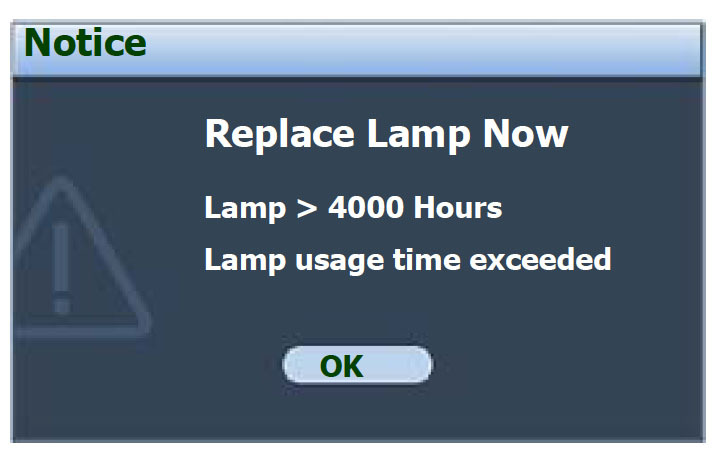 If projector is running in Economic Mode, you can wait until 3950 hours of lamp usage. 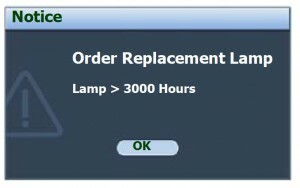 Second warning: The BenQ 5J.06001.001 lamp has been in operation for 3950 hours. 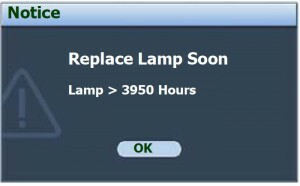 Replace the lamp as soon as possible. You will begin to notice that brightness has diminished and the picture is not as clear. Third warning: The BenQ 5J.06001.001 lamp has been in operation for 4000 hours and is reaching end of life. 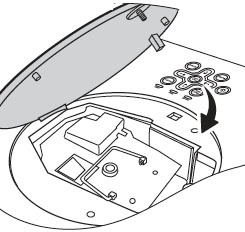 Replace the BenQ 5J.06001.001 lamp immediately. Final warning: The BenQ 5J.06001.001 lamp has reached end of life and the projector has shut down. 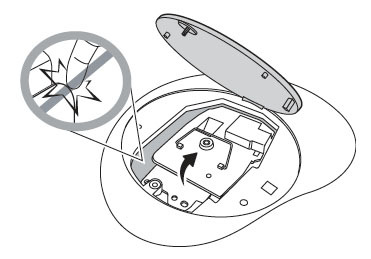 The BenQ MP612/MP612c projector will not turn back on until the lamp has been replaced. Reduce the risk of electrical shock by disconnecting the power cord on the MP612/MP612c projector. The lamp cover is found on the top of the projector. 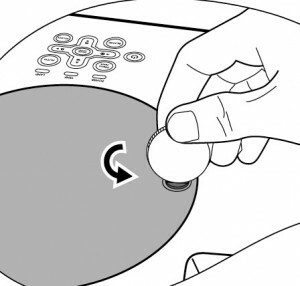 Using a coin, loosen the screw holding the BenQ MP612/MP612c lamp cover in place. Be careful not to touch the inside of the projector where there is a shapr edge that can cut your fingers. 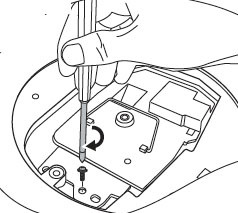 Loosen the screw on the BenQ 5J.06001.001 lamp. 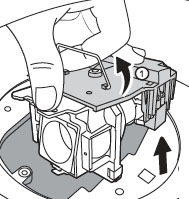 Click the wire handle up and use it to pull the BenQ 5J.06001.001 lamp out of the projector. Pulling too quickly can cause the bulb to shatter. Learn what to do should the bulb shatter. Lower the new BenQ 5J.06001.001 first into the connector on the BenQ MP612/MP612c projector and then align the two holes on the projector. Tighten the screw on the lamp. Re-install the BenQ MP612/MP612c lamp cover and tighten the screw. NOTE: The BenQ 5J.06001.001 lamp contains mercury and should not be thrown into regular garbage. Recycle your used lamps! If you bought from an authentic manufacturer they will recycle the lamp for you at no extra cost (another reason to buy authentic lamps). 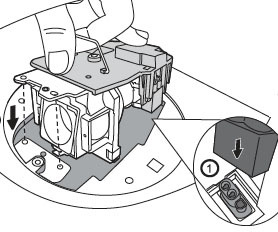 It’s important to only reset the lamp timer when the BenQ 5J.06001.001 lamp has been replaced. Resetting the lamp timer without changing the BenQ 5J.06001.001 lamp can severely damage your BenQ MP612/MP612c projector. Scroll down to ADVANCED. Press Enter. Scroll down to LAMP SETTINGS menu. Press ENTER. The LAMP SETTINGS page displays. Highlight Reset Lamp Timer. 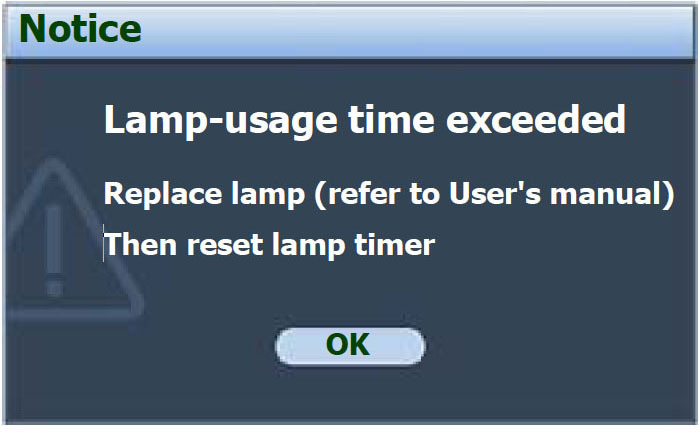 Warning message displays asking if you want to reset the lamp timer. Highlight Reset and press ENTER. 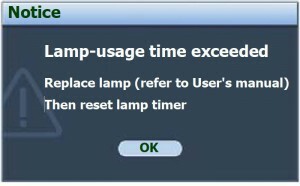 The lamp time will be reset to ‘0’. 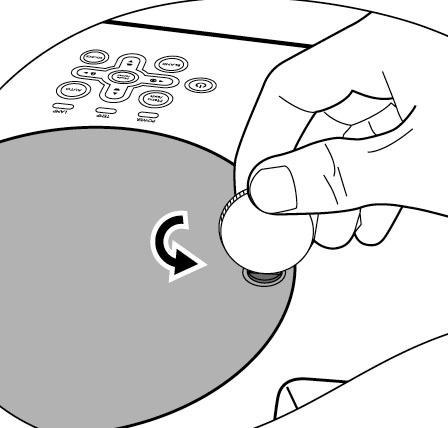 Use the Lamp Power option on the BenQ MP612/MP612c projector and set to Economic Mode to reduce the amount of power used but extend lamp life. I bought a used BENQ MP216c. but when I switch it on the power indicator shows but the lamp does not turn on. please what is the problem. Your projector lamp has probably reached end of life and needs to be replaced. 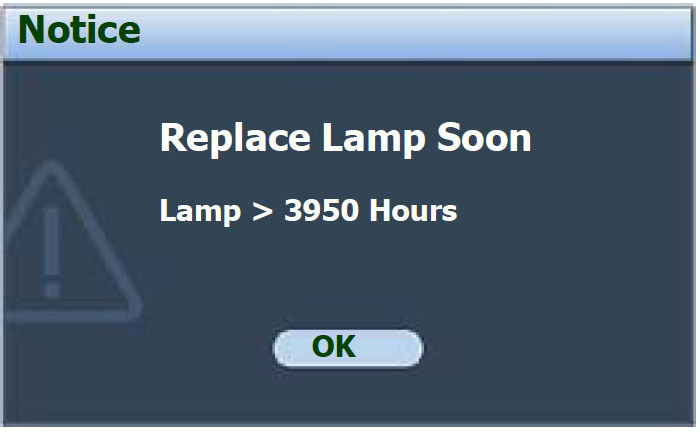 Use the menu to find the lamp hour remaining and see if has reached end of life. If could also be the lamp is damaged and won’t turn on. The projector will not run if the lamp is old or damaged. Check that out first.